While we are very supportive of our alumni, we need to emphasise that the views expressed in this podcast are not necessarily representative of the University of Exeter and the guest’s views are their own. In this episode, we’re joined by one of our alumni, Lizzie Daly. Lizzie is a wildlife presenter, filmmaker, and researcher whose work regularly focuses on human-wildlife conflict. In this instance, Lizzie was inspired to take action after reading about seals being shot in Scotland in order to protect fish stocks. 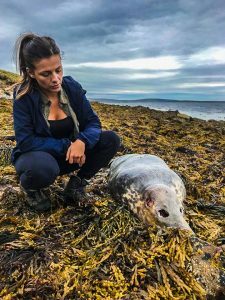 After months of research and frequent trips to Scotland, Lizzie released a film addressing the issue titled: ‘Silent Slaughter – The Shooting of Scotland’s Seals’. You can watch this below. The film was entirely self-funded and free to watch. 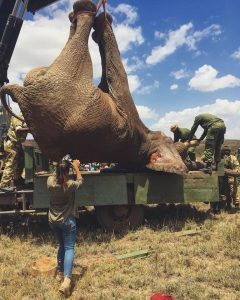 Lizzie filming an elephant translocation in Kenya. 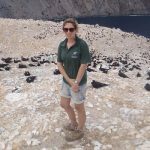 Lizzie only graduated from our Penryn Campus in 2016, but has already achieved an awful lot as a wildlife presenter, filmmaker and researcher. 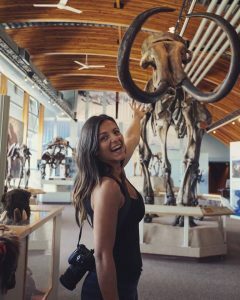 Starting out as a wildlife expert on CBeebies, Lizzie is now a presenter for BBC Earth Unplugged and has featured on the BBC2 wildlife quiz show, Curious Creatures. After completing an MSc at Bristol University, Lizzie also spent two months in Kenya documenting human-elephant conflict management whilst producing, directing and presenting a video series that you can watch on her Youtube channel. 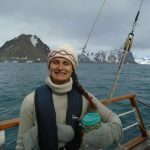 In addition to this she has also become an Ocean Ambassador for the Marine Conservation Society, an ambassador for the Jane Goodall Institute UK, she’s the Female Ambassador for Fjällräven and an Academic Teaching and Outreach Fellow at Swansea University. The role and importance of aquaculture in Scotland and attitudes of local people. Salmon farming industry attitudes towards both seals and activism. The challenges of filming controversial topics. Telling important stories online/social media. Ending on a positive note – What has happened since the release of Silent Slaughter? Check out other episodes of the podcast here. You can subscribe on most podcast apps, if you’re feeling kind please leave us a review! 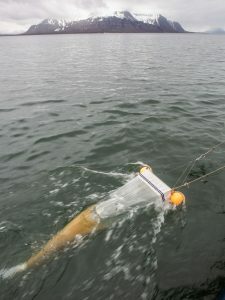 #ExeterMarine is an interdisciplinary group of marine related researchers with capabilities across the scientific, medical, engineering, humanities and social science fields. If you are interested in working with our researchers or students, contact Michael Hanley or visit our website! Of all the pollutants impacting the environment, plastics are perhaps among the most talked about and campaigned against in recent years. We’ve had members of Sail Against Plastic on the podcast before to discuss the presence of plastics in some of the most remote areas of ocean, but in this episode we take a look into how some plastics penetrate further – the invasion of food web ecology by microplastics. marine conservation, specifically elasmobranch (shark and ray) ecology and biology. 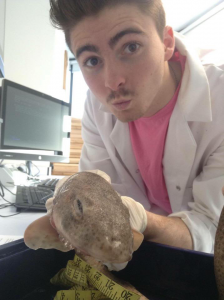 After being involved in several shark conservation projects around the world, from Mozambique to the Philippines, Kristian went on to start his current research as a Master by Research post-graduate investigating plastic ingestion in several North-East Atlantic shark species; Tope, Dogfish, Smooth-hound, Bull huss and Spurdog. 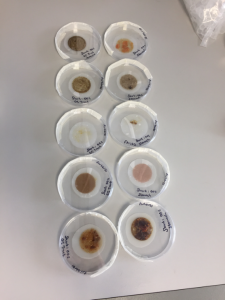 The project aims to investigate whether diet and foraging behaviour has an influence on the consumption of micro plastic, and its accumulation within the digestive tracts of these species. 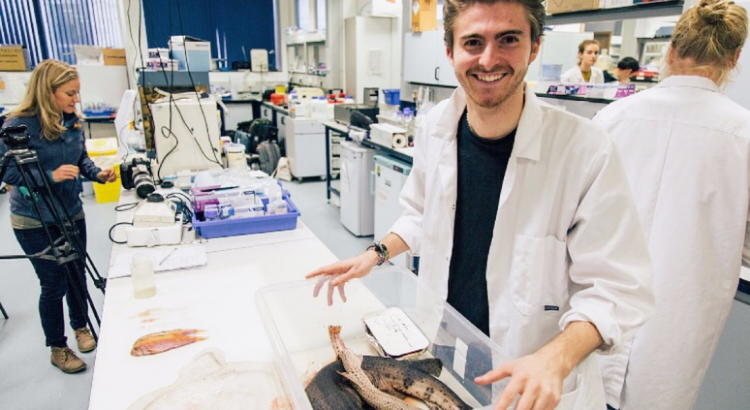 Kristian’s research has a broad focus on several small to moderate shark species found in the waters of the UK and North-East Atlantic, most of which are unknown to the wider public – all too often over-shadowed by larger, more cinematic species. The most common species that Kristian works with is the Lesser Spotted Dogfish…or the Small Spotted Catshark…or some may say the Murgey (Scyliorhinus canicula). Whatever you wish to call it, this species exhibit beautiful spotted patterns on a pale body, and are a delight to see in the wild for those lucky enough to spot them among the kelp beds. 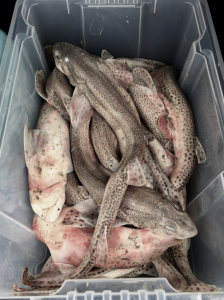 Though regularly caught in numerous trawl and gill net fisheries, they are not often eaten among Cornwall, though are put to use as bait while Kristian claims a few from local fishermen for science. The exact status of their stocks is unknown though they are thought to be fairly numerous and common. Unfortunately, this is not the case for many of the other sharks that Kristian samples. For more information on the fisheries of S. caniculla, and other shark and/or marine species click here. With so much plastic floating around, there is no surprise that it finds its way into the food webs of marine ecosystems. 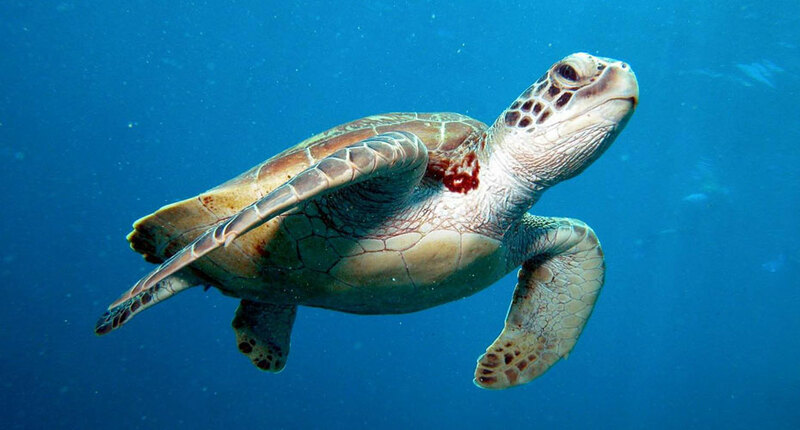 Our news feeds are battered by reports of stranded marine animals whose stomachs are littered with plastics, clips of animals mistaking plastic bags for their primary food sources, and new studies quantifying the presence of micro-plastics in almost all areas of nature. The problem is more than just full bellies of unnatural content, which in of itself is a great concern. 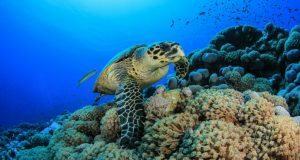 Studies have shown that plastics may contain chemical traces that can disrupt systems by which organisms regulate and produce hormones, leading to further and exacerbated biological implications. To find out more, have a listen to the episode. 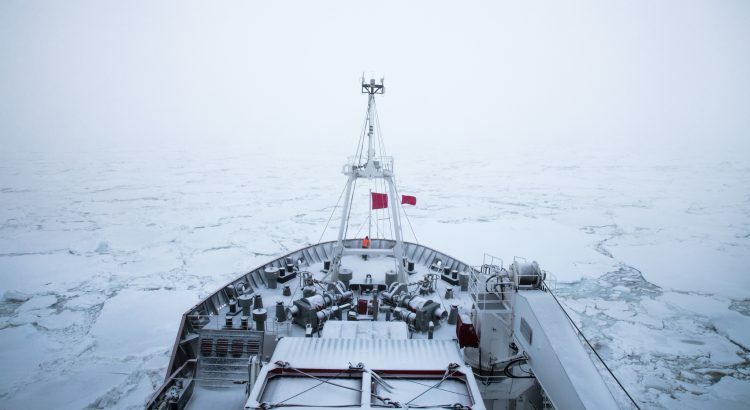 In this episode Ethan and Ben talk to Dr. Alejandro Roman Gonzalez about ICEBERGS, a research voyage aboard the RRS James Clark Ross to the West Antarctic Peninsula. Alejandro is part of a team of scientists, technicians and crew that are collecting data to help understand how marine life in this region is responding and adapting to climate change. Take a look some of Alejandro’s stunning images from the first expedition. You can see these, and more on his photoblog. At the time of writing, they are currently mid-voyage on their second of three annual expeditions. Luckily for us, this means there’s already plenty to look at from the first expedition in the winter of 2017/18. Below we have linked articles from the official ICEBERGS blog, be sure to check back there for more in the future! 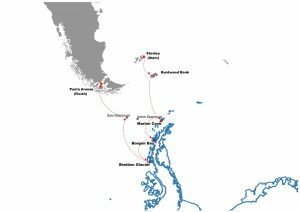 Some of the key locations for the voyage. Some background on ICEBERGS and the West Antarctic Peninsula. Recounting the voyage across one of the roughest seas on Earth. 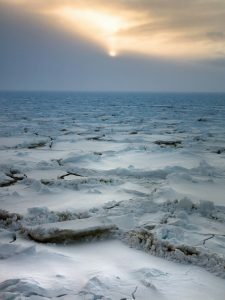 Sunset over the pancake ice at Marguerite Bay. Something the team had to contend with on a regular basis. An update from a stunning location. Some more of Alejandro’s fantastic photographs from the 2017/18 expedition. You can see these, and more on his photoblog. Underwater photographs from the 2017-18 voyage. 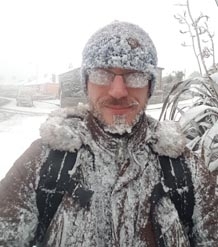 Alejandro is a Research at the University of Exeter, his research focuses on the use of Antarctic coastal mollusc bivalves as recorders of climate variability in marine ecosystems, otherwise known as Sclerochronology (you might remember Paul Butler talking about this in a previous episode). Alongside his academic work, Alejandro is also a talented landscape and nature photography (which is evident as he’s provided all the fantastic photos for these show notes). Be sure to check out his photoblog. Find out about the British Antarctic Survey here. 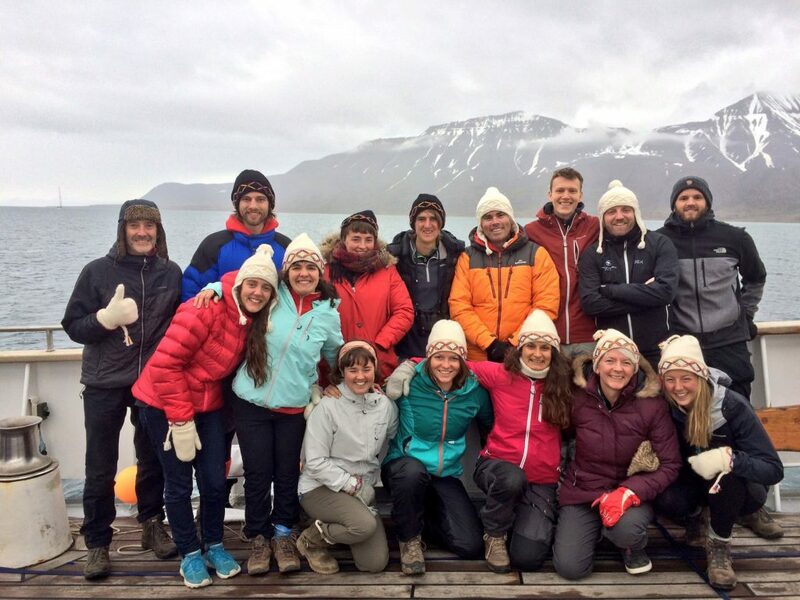 You can follow the ICEBERGS team on twitter – @ICEBERGS_JCR. Take a look at Alejandro’s photoblog here. Find the latest ICEBERGS blog here. In the last episode we spoke with Paul Butler and Annette Broderick about climate change and how this impacts their work on bivalves and turtles respectively. We also discussed some of the key points of the IPCC’s latest climate change report. If you would like to check that out, click here. This time, we’re taking a slightly different approach in a chat we had with Professor of Human Geography, Catherine Leyshon. Specifically, we discussed the reasons why, in the face of overwhelming evidence, we appear to do very little in response. The discussion ranges from why people might struggle to make small, every day changes, right through to governmental/international levels. Why don’t some actions work? The Great Barrier Reef is rapidly disappearing due to climate change. What was the emissions tax? In the UK we are seeing some changes. 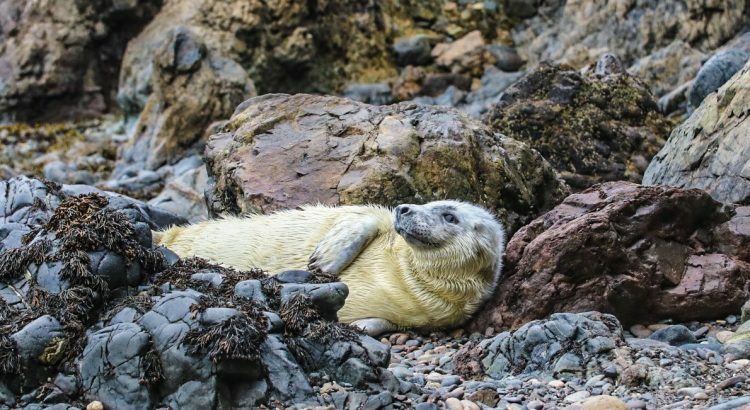 For example, the National Trust have introduced their Shifting Shores project, where they will now be focusing on adapting to changes at their coastal sites, rather than trying to prevent change. 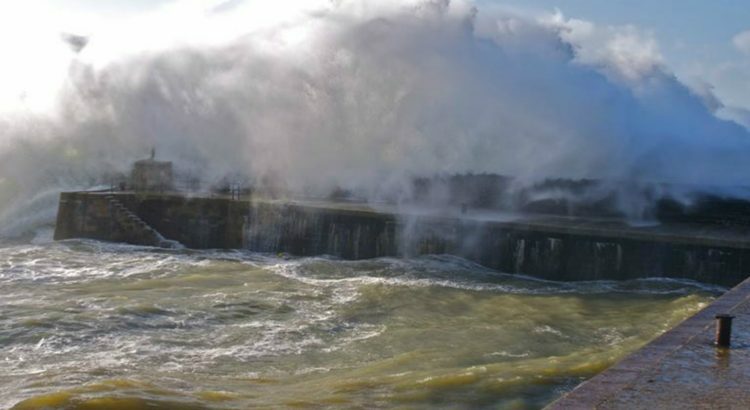 For those of us in Cornwall, Mullion harbour wall is a particularly relevant example, you can read about the challenges the National Trust have faced with this here. As Ethan mentioned in the episode, we are seeing some other actions, such as: Dutch parliament to set target of 95 percent CO2 reduction by 2050. There are several other areas covered in the episode, but to find out more you’ll need to give it a listen! You can also read the IPCC Climate Change Press Release in full here. 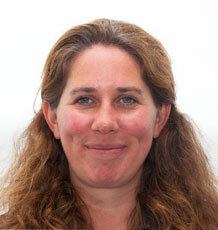 Catherine is a human geographer whose work combines landscape ecology, social relations and climate change. Catherine’s work on climate change is interesting for many reasons, but one aspect that really makes it stand out is its focus on local communities here in Cornwall. Studies can all too often focus on the distant impacts of climate change, but numerous studies from Catherine help to highlight the potential changes occurring on our door step. In this episode Ethan and Ben discuss the latest Climate Change Report released by the IPCC (Intergovernmental Panel on Climate Change), with Professor Annette Broderick and Dr. Paul Butler. As well as covering key points of the report, Annette and Paul tell us about how climate change is a significant aspect of their current research. Annette’s research investigates the exploitation of marine vertebrates, with a primary focus on marine turtles. The thermal environment is particularly important for turtles, so the potential effects of climate change could have a big impact on these populations. Listen to the episode to find out more. 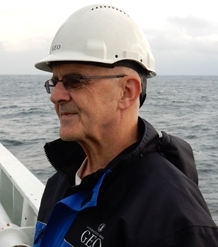 Paul’s research is in the field of sclerochronology, focusing in particular on the use of shells from long-lived bivalve molluscs to study the history of the marine environment. Essentially, these molluscs deposit annual increments in their shells (like rings on a tree stump). 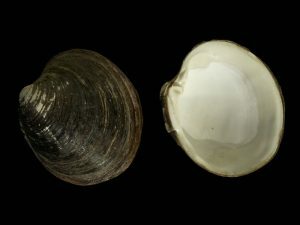 If a bivalve shell has a known date of death, a timeline of environmental variables can be investigated from that one shell, including seawater temperature and the origin of water masses. This can be of particular interest when studying climate change. Have a listen to the episode and take a look at Paul’s profile for more information. Want to know more about sclerochronology and some intriguing clam facts? Sarah Holmes, PhD Researcher, wrote an excellent blog about this a few months ago, you can read it in full here. The IPCC was established 30 years ago by the United Nations Environment Programme (UNEP) and the World Meteorological Organization (WMO) to provide a scientific view of climate change and its potential environmental and socio-economic impacts. What is the IPCC Climate Change Report? In December 2015 the Paris climate agreement was signed whereupon countries agreed that they would keep global temperatures “well below two degrees C above pre-industrial levels and to pursue efforts to limit the temperature increase even further to 1.5 degrees C”. The UN asked the IPCC to produce a special report to assess the feasibility of keeping global temperature rises to a maximum of 1.5C. Scientists are nominated by governments and international institutions. In this particular report there we 91 lead authors from 40 countries which reviewed 6,000 references. This work is unpaid. Currently we are on track to reach 1.5C warming between 2030 and 2052, and 3C by 2100. 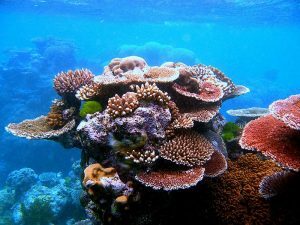 Almost all coral reefs will be destroyed. The arctic will have summers with no ice at least once a decade. Huge numbers of animals and plants will become extinct. Low-lying coastal regions, such as Bangladesh, will suffer from sea level rise. Yes, but we have just 12 years to turn it around and serious change is required. You can read more about that here. You can read the IPCC Climate Change Press Release in full here. We know a lot about the behaviour of wild species during the daytime and behaviour studies on animals in human care are often used to help inform us of their welfare state. For lots of species housed in zoological collections, we know little about what they do once their keepers go home. To fully understand their behaviour patterns, and what goes on when we’re not watching, we can use technology to observe their behaviour patterns across a full 24 hour cycle. It’s commonplace to use data from the wild to help explain what our animals are doing in captivity. For species that might be just as active during the night as well as during the day, our observations on a human time-frame might only be half of the story. As more research is published on the ecology of wild species, this can be used to inform how we keep species in zoological collections- and knowledge of the nocturnal habits of “diurnal” species is one such area of scientific investigation. This research focused on flamingos, one of the world’s most popular of zoo animals occurring in a huge number of animal collections globally. Wild studies of flamingos have noted that feeding and foraging, chick rearing and movements between feeding and breeding areas can occur overnight. But how active are zoo birds? Will they still follow a similar activity budget to that shown in the field? 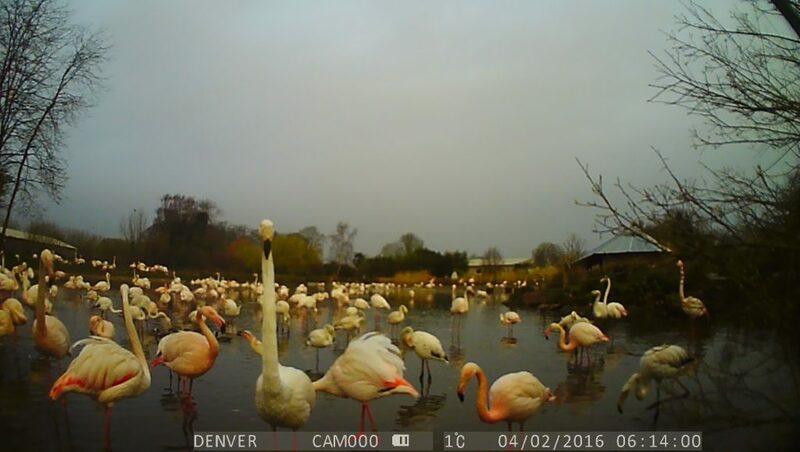 Using several remote trail cameras, fitted around the enclosure of a large flock of around 270 greater flamingos housed at WWT Slimbridge Wetland Centre behaviour across both day and night was collected over spring and summer 2016. 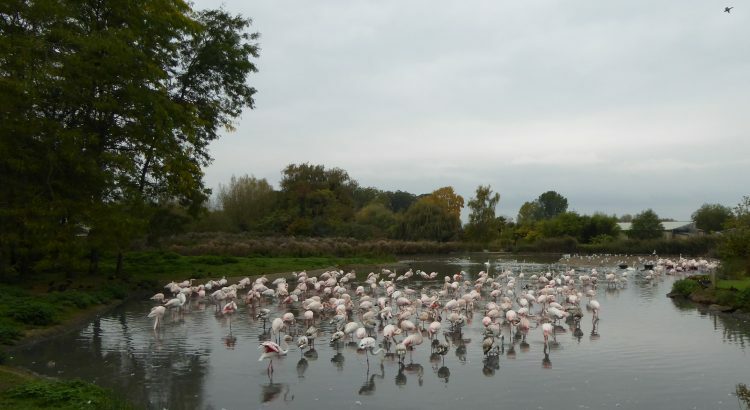 The bird’s enclosure was split into different habitats areas, based on water depth in their pool and land areas used for different behaviour (such as nesting and rearing young) to see if areas commonly utilised during the daytime were still used overnight. 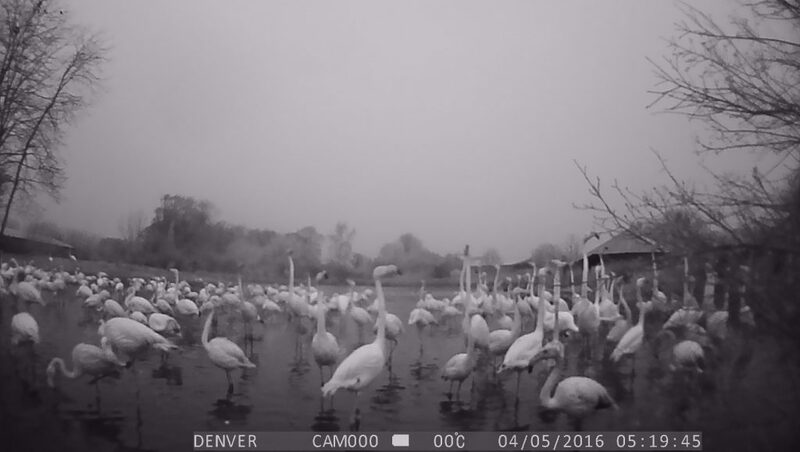 Shots taken directly from remote cameras stationed around the flamingo enclosure taken during the day (above), and at night (below). Remote cameras are great for capturing behaviour in the wild and in the zoo. They reduce the chance of a human observer affecting or influencing the behaviour of the animal being watched. And they can be set to record animals at specific times, to focus on what animals might be doing over different seasons or times of day. And they can help collect data to inform animal welfare standards by providing a picture of how animals use their space and what areas of their habitat they prefer to be in. Results show that these flamingos use their enclosure differently at night to that seen in daytime. Foraging behaviours peaked in the evening, showing that even though the flamingos are provided with a complete diet, natural filtering in their pool is still an important behaviour for these birds to perform. Widest enclosure use, with the largest number of birds using the maximum number of zones was seen during the later evening, middle of the night and into the early morning. Birds congregated in fewer areas of their habitat during the later morning and middle of the day- preferring to be in one specific place for resting and preening. Some behaviours were more commonly performed during daylight- courtship display for example peaks in the morning, and is lowest overnight. Showing that for some behaviours with a high visual impact, time of day for its performance is important for the message being presented by the behaviour. 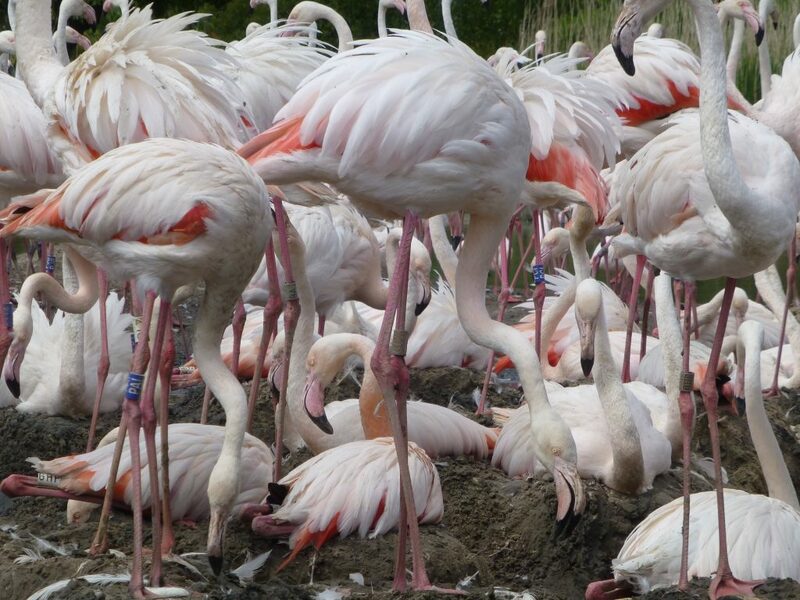 This research has important implications for how we manage zoo populations of flamingos and other species in animal collections. These nocturnal observations show us the times in a day when flamingos naturally spend their time on key behaviours. By providing a habitat that allows a range of activities to be performed at different times, and not restricting the birds space to use these areas means that in a zoological collection, a natural behaviour pattern is performed. This is important for the welfare of these birds as the good features of this enclosure (its large size, the range of habitat areas, and the large number of birds housed within it) can be replicated in other zoological institutions to provide the highest quality of life possible. We also show the influence of season on overall flock nocturnal activity levels- with birds becoming more active as spring progresses into summer, dipping slightly during the nesting and incubation period and then rising as chicks fledge and leave the nest. 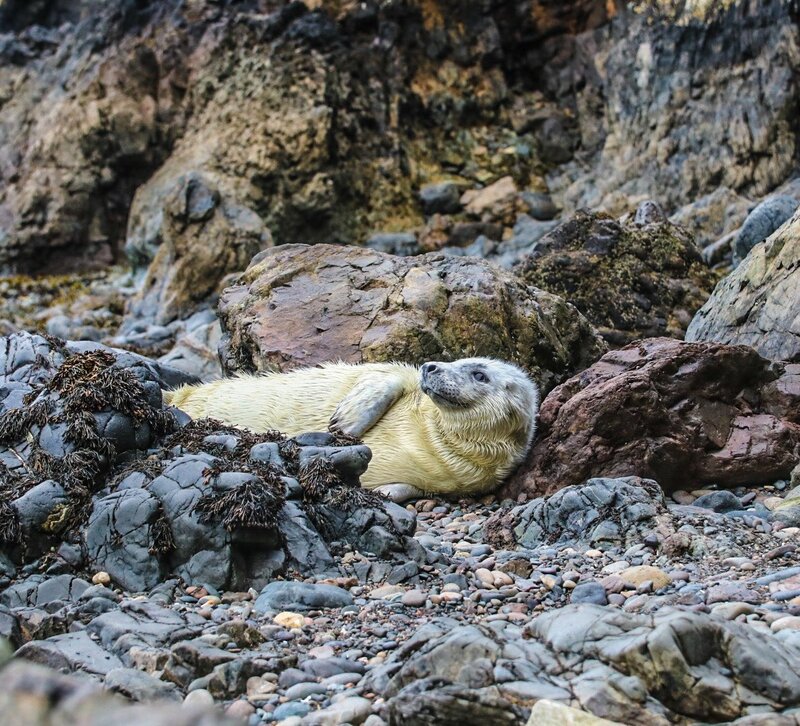 These data are helpful for breeding programmes, monitoring the seasonal changes in animals as potential predictors of when reproductive behaviours may occur. These data are also useful to those studying wild flamingos too, as if we know the times of the day that flamingos like to forage or rest, or where they prefer to gather in larger number, so we can help maintain or create such spaces within their wild habitats, away from disturbances to encourage birds to settle and breed, or to forage at times of the day most suitable for them. With four of the six species of flamingo having a level of conservation concern from the IUCN all information on their behavioural ecology can be useful to the conservation of future populations. Dr. Paul Rose is a zoologist whose interests lie in behavioural ecology, ornithology and animal welfare. Paul has previously researched the relevance and importance of social networks in captive species, and the associated implications for zoo animal husbandry and welfare. 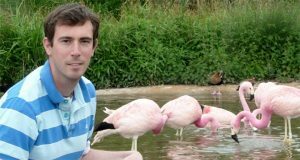 He now researchers enclosure usage and breeding behaviour of captive flamingos to help further evidence base the husbandry techniques used for them. Having studied and worked in biodiversity conservation, with a marine focus, I have had the opportunity to work with a number of marine megafauna species, but it wasn’t until a move to Ascension Island (to work with sea turtles) that I forayed into the world of seabird ecology. Seabirds are known to be sentinels of the sea with a number of studies demonstrating how they can be used as indicators of the “health” of the marine environment. While seabirds nest on land, they largely find all of their food at sea, so any changes in the availability of their food resources can have a significant impact on their health and reproductive success. As with many marine species, advances in technology have made it possible to study the largely unseen journeys and behaviours of seabirds at sea using increasingly small tracking devices that are normally attached the feathers of the bird. These devices then either need to be retrieved to download the data or can transmit it using satellite technology. 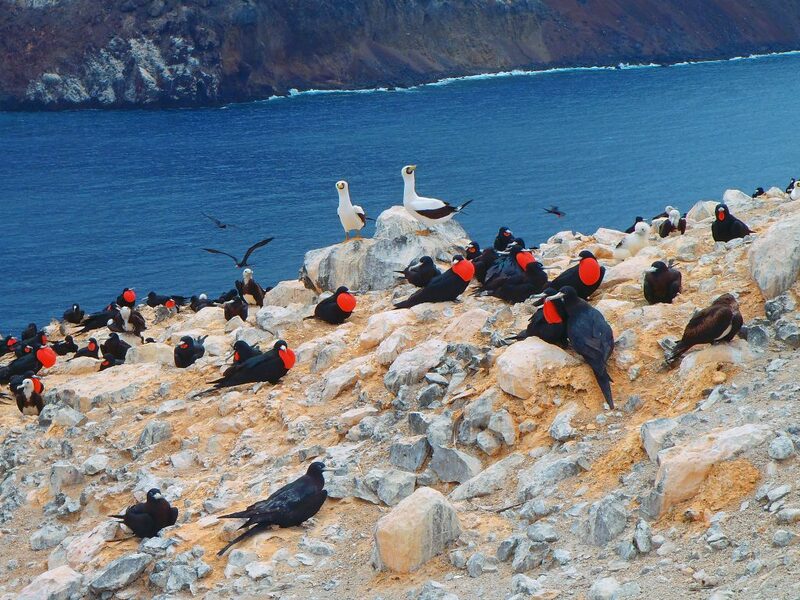 During my time working on Ascension Island we attached tracking devices to a number of seabird species including the endemic frigatebird, the masked booby, sooty terns and yellow-billed tropicbirds. These projects involved many people including supervisors at the University of Exeter who conceived ideas and secured funding, experienced colleagues at the RSPB who helped with study design, deployment of devices and interpretation of data, and of course those working on the ground at the Ascension Island Government Conservation & Fisheries Department who know the area and the birds better than anybody else. Expeditions to tag seabirds, in particular on the offshore islet, Boatswainbird Island, that the local boat drivers skilfully got us on to, remain a highlight of my 5 years on Ascension Island. 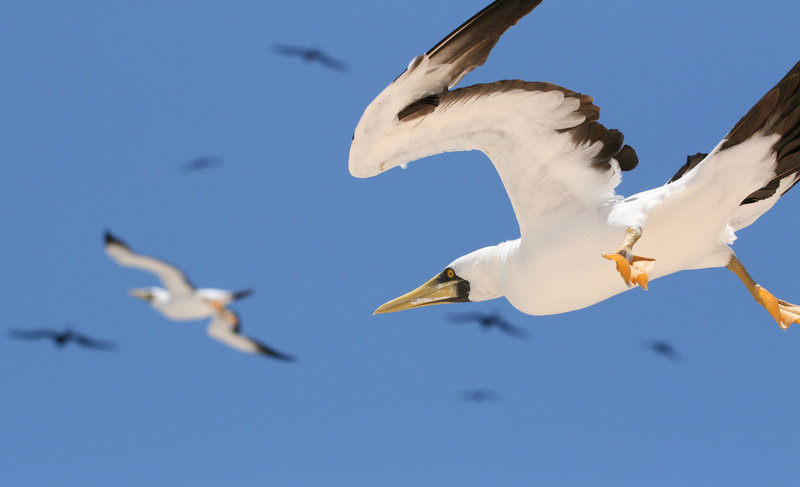 Over the last 20 years, researchers have equipped over 100 species of seabirds with tracking devices to follow their movements at sea. As such studies become increasingly common, a wealth of information is being collected and many of these data have been contributed to the BirdLife Seabird Tracking Database and can be used for conservation planning or research, for example by identifying areas at sea that are important foraging grounds and hence may benefit from protective measures being put in place. 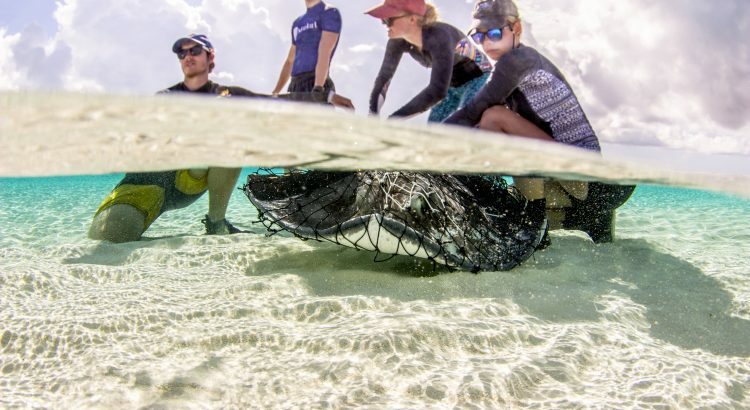 It is only in this collaborative way that we can carry out holistic research projects to gain real insights into marine ecology and conservation at a more global scale. In a new study published this week in the journal Marine Policy, researchers from RSPB and BirdLife International summarised the tracking data of 52 species from 10 families across the Atlantic Ocean (including those from the Ascension Island birds) to highlight the differences in the spatial scale of their movements during the breeding season. 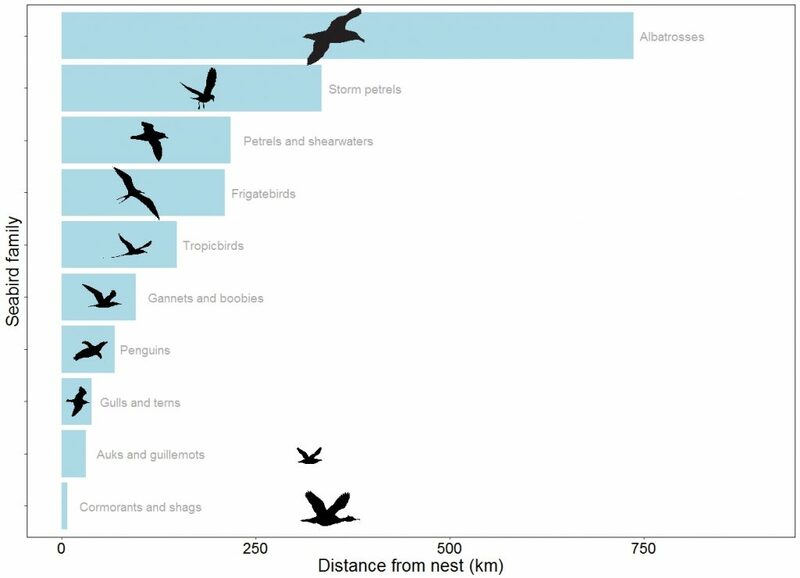 This summary, based on more than 12,000 foraging trips from over 5000 breeding birds, highlights the enormous differences between seabird families: while cormorants and shags often only travel 5-10 km out to sea, albatrosses, petrels, and frigatebirds routinely travel more than 200 km to find food during the breeding season. 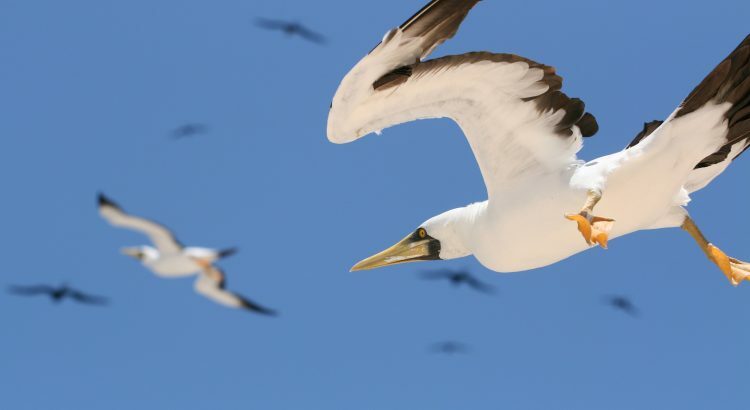 As there is a variety of options to protect seabirds at sea, it is thus important for policy makers and conservation practitioners to understand which approach is most suitable for which species based on their behavioural ecology. For example, birds that travel very far and exploit vast areas at sea may require conservation measures at a much larger scale than birds that travel only a short distance and remain in a smaller area. 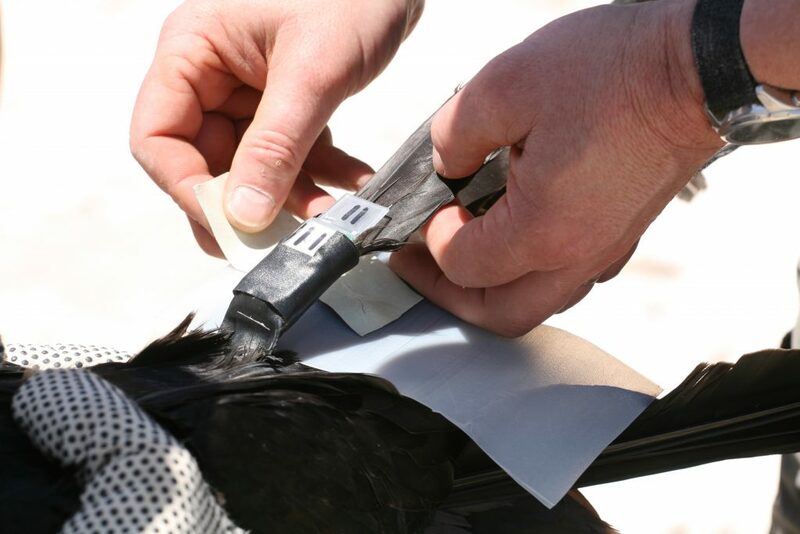 This study highlights one of the aspects of academic research that I find the most interesting and rewarding – the collection of reliable data that can be used to inform management decisions and lead to tangible conservation actions being implemented, through the collaborative efforts of many people and organisations. Please see the paper for full acknowledgements of people, organisations and funding bodies. In this episode, we get to know our regular presenters a little better. Ethan and Molly talk to Ben, the producer, about the work they have been doing as Masters by Research students for the past two years. 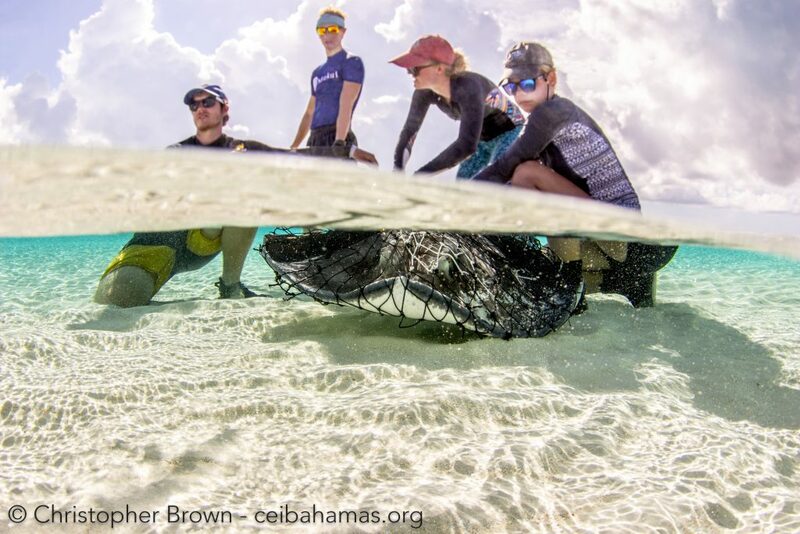 Under the supervision of Dr. Lucy Hawkes, Molly and Ethan have been working closely with Dr. Owen O’Shea at the Cape Eleuthera Insitute (CEI) in the Bahamas, to study the stingrays in the local waters. 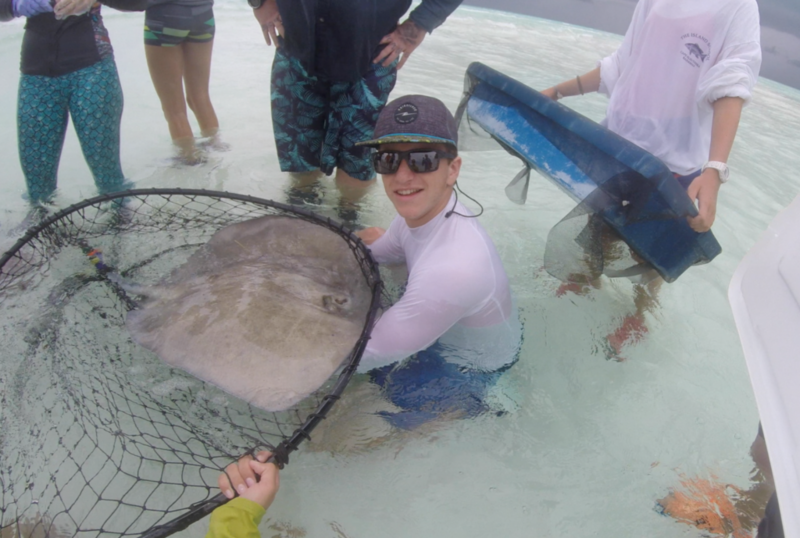 Molly and Ethan worked with two data deficient species of stingray; the Southern Stingray, and the Caribbean Whiptail Ray The main focus of the research was to investigate the rays’ diets. This involved two methods; stable isotopes analysis and stomach content analysis (you can learn more about them in the podcast). Ray team just after having caught a southern stingray along a sandbar. (Ethan first on left, Molly, second from right). 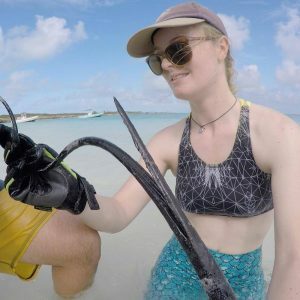 Molly holding the tail of a Caribbean whiptail ray presenting the large venomous barb. How might such research be applied? Well, in the Bahamas there is no legislation for the protection of mangroves. You can find out more about why mangroves are so important here. While the stingrays rely on the mangroves for food, it seems they also offer plenty to the mangroves themselves. To find out exactly what they offer, take a listen to the episode. 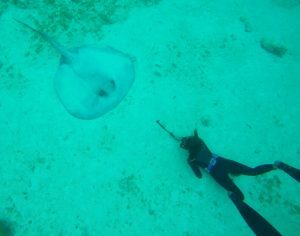 You can also find out about some skills you might not know existed, like stingray herding! 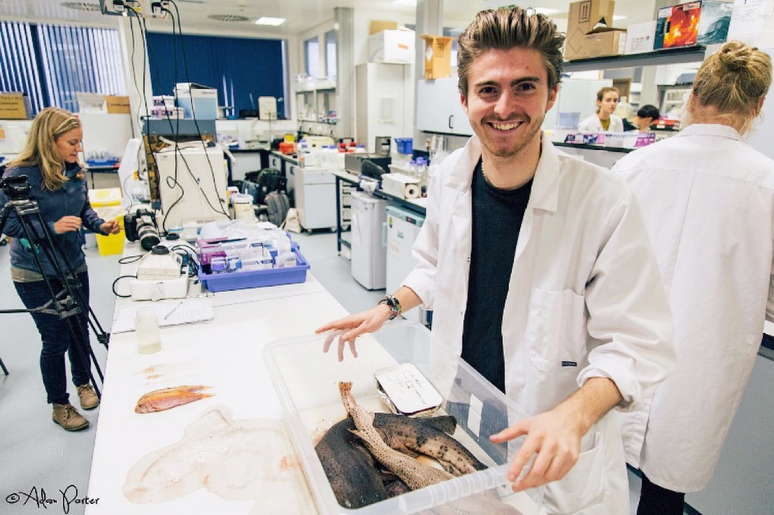 Molly and Ethan initially honed their marine biology skills and interests as undergraduates here at the University of Exeter’s Penryn Campus, studying Zoology and Conservation Biology and Ecology respectively. In their final year they undertook a field course to Eleuthera Island in the Bahamas, this sewed the seeds of their Masters by Research. Click the links to find out more. 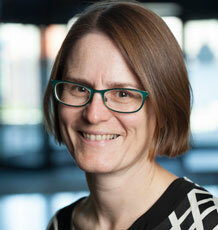 Jennifer McWhorter is pursuing her PhD in a joint program between the Universities of Exeter and Queensland. 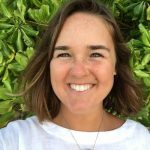 Using various climate and ecological modelling techniques, Jen hopes to improve our spatial knowledge of coral reef stressors. Similar to humans experiencing a fever, coral reefs undergo similar stress. The more frequent the fever and the longer the fever lasts, the more life threatening it becomes. Sea surface temperatures in the ocean are increasing at an alarming rate due to human inputs of carbon dioxide into the atmosphere (Ekwurzel et al., 2017). 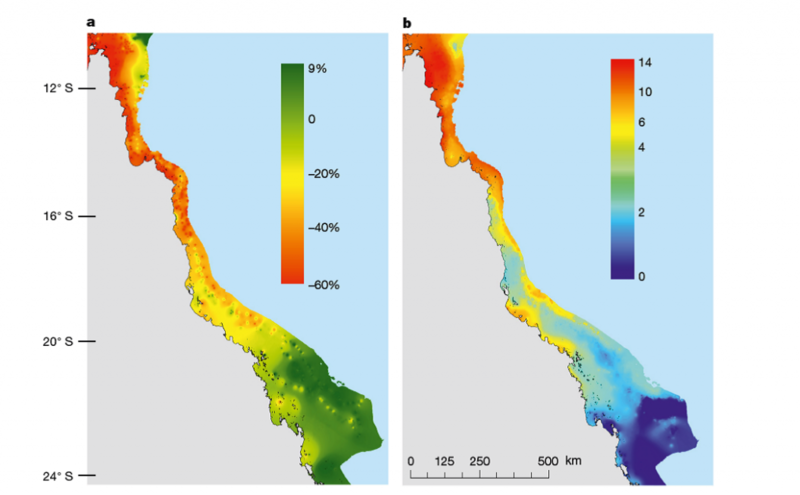 In 2016/2017, the Great Barrier Reef (GBR) experienced two back-to-back severe warming events that caused widespread coral bleaching. According to the Australia Institute of Marine Science, hard coral cover on the GBR has declined at a rate that has never been recorded. 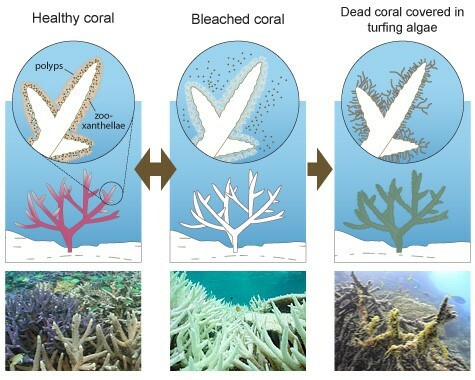 In addition to coral bleaching, cyclones and crown-of-thorns sea star outbreaks have been the main cause of decline in coral cover on the GBR within the past four years. 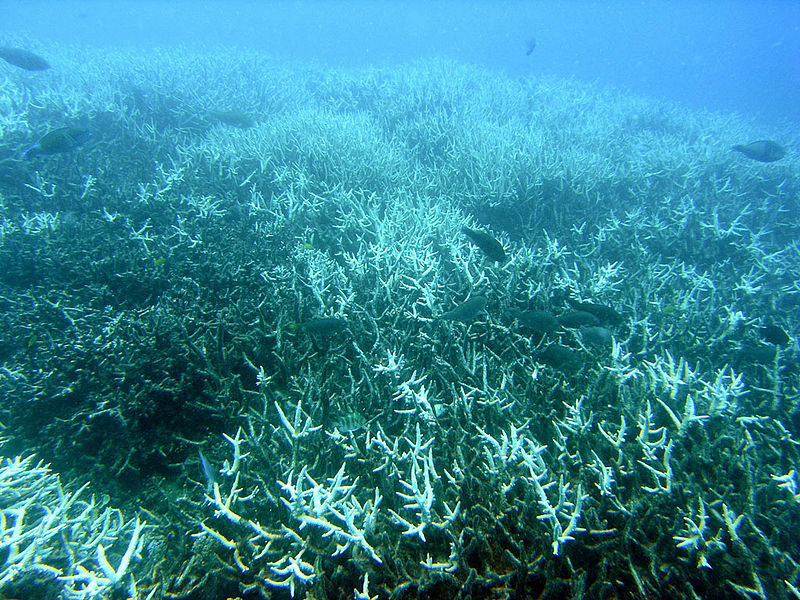 The northern area of the GBR is expected to have lost about half of its’ coral cover. This estimate reflects the impacts of two episodes of severe coral bleaching from 2014-2017 and two cyclones. 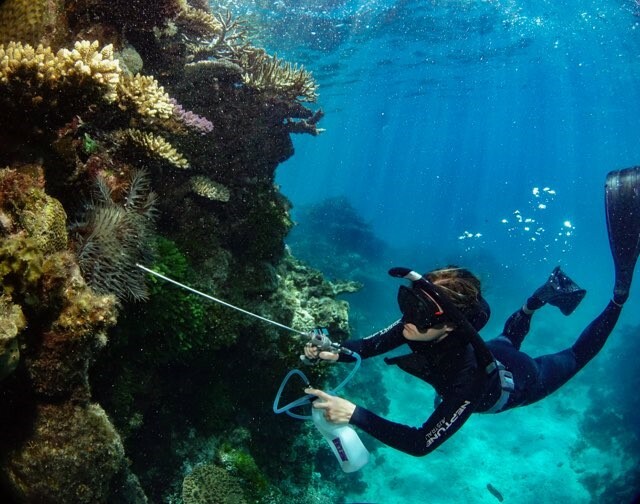 The central reef has experienced a decline in coral cover from 22% in 2016 to 14% in 2018 due to coral bleaching and the ongoing southward spread of the crown-of-thorns sea star. Even though the southern portion of the GBR was not exposed to the 2016/2017 warming events, coral cover has dropped from 33% in 2017 to 25% in 2018. On the southern reefs, the crown-of-thorns sea star outbreaks appear to be the main cause for the most recent decline. Ekwurzel, B., Boneham, J., Dalton, M. W., Heede, R., Mera, R. J., Allen, M. R., & Frumhoff, P. C. (2017). The rise in global atmospheric CO2, surface temperature, and sea level from emissions traced to major carbon producers. Climatic Change, 144(4), 579-590. Hughes, T. P., Kerry, J. T., Baird, A. H., Connolly, S. R., Dietzel, A., Eakin, C. M., … & McWilliam, M. J. (2018). Global warming transforms coral reef assemblages. Nature, 556(7702), 492. 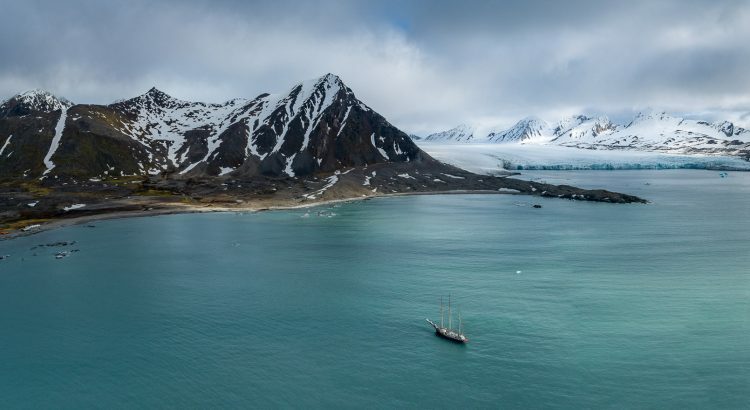 Sail Against Plastic started as an idea to simply undertake a sailing expedition, over just a few months it developed into an Arctic mission to investigate unseen pollutants, namely microplastics and noise pollution. It is well documented that plastic debris has been circulating around our oceans via 5 ocean gyres. 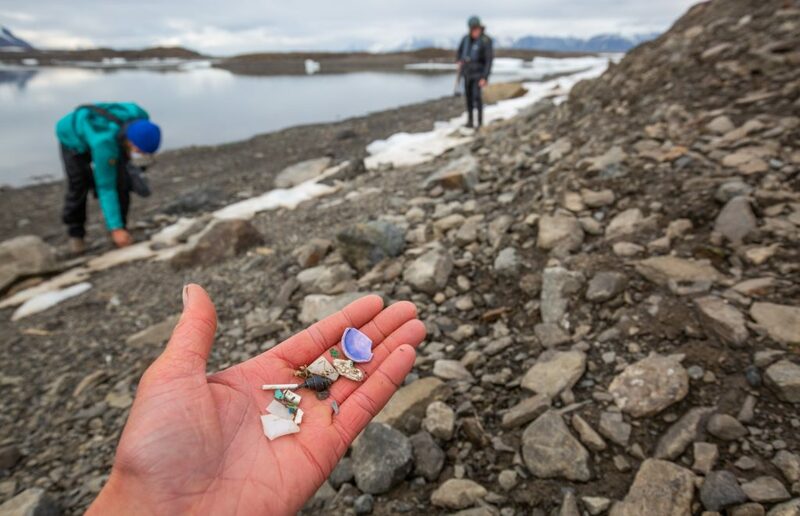 It is now thought there maybe a sixth gyre that carries plastic up into the Arctic circle. Recent discoveries supporting this theory have shown that plastic has been found in sea ice. These pieces of plastic aren’t necessarily what you would expect, while there plastic bottles and bags found in these areas, there may be an even greater prevalence of microplastics, tiny pieces of plastic debris resulting from the breakdown of consumer products and industrial waste. 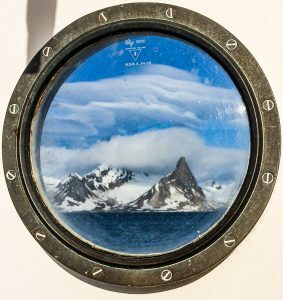 At the time of recording, the team, a diverse group of scientists, artists, environmentalists, photographers and videographers, were just a few days away from setting sail on the Barents Sea from Svalbard aboard the Blue Clipper. Subscribe to the #ExeterMarine blog!